The Serape Rectangular Tray with Handles. New Exciting Certified International® Melamine Product! Fun and Functional products in Beautiful Designs For Every Occasion. Mix And Match To Fit Your Style! 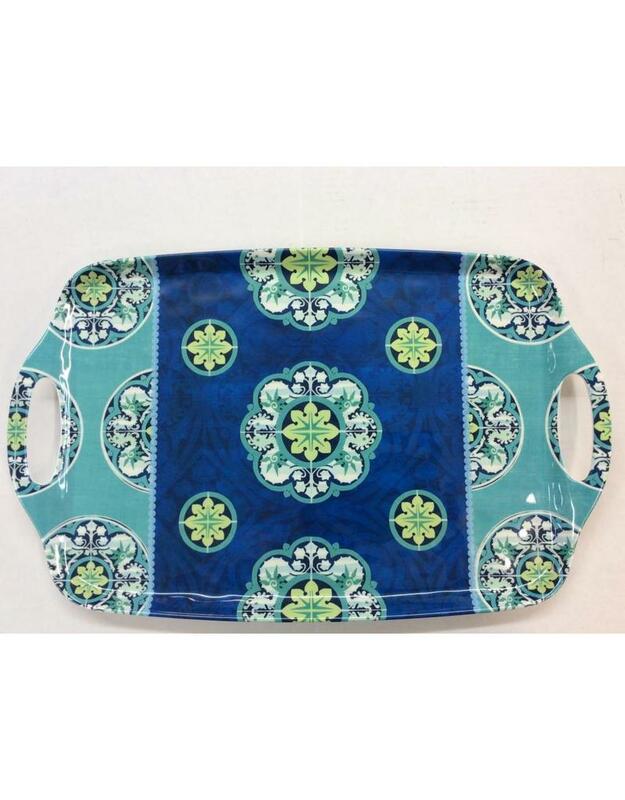 Awesome New Certified International® 100% Melamine Accessories including this Serape Serving Tray! Goes well with your Fiesta® Dinnerware. Microwave Not Recommended. Top Rack of Dishwasher.